How Corrupt Deep State Shadow Men Used Mind Control, Social Engineering and PSYOPs to Subvert a Nation, Install Marxism and a Maoist Agenda Strategy to Implement Radical Liberalism into Society. What you are about to learn: The social weaponization of “useful idiots” and the youth of a generation by controlling the indoctrination in the school system, just like Mao Tse Tung did in China to then destroy the family unit, destroy the teaching of morality in religious institutions by teaching the youth to mock them, introduce the drug culture, mass abortion, aimless trance states of the degenerate “entertainment” industry and “group think” inside the heavily censored social media networks, violent crime, expansion of mass poverty by waging war on the middle class and economically enslaving a nation. Cultural Marxists continue to use the “Critical Theory,” political correctness and a tranced, dumbed down army of “social justice warriors” (cultural marxist and maoist strategy) to turn a nation upside down and rock the population to sleep with new age nonsense, consumerism and massive personal financial debt in a stagnant economy. To effectively push back against this nonsense that started about 90 years ago, right before the first world war, people need to learn truths and history that was not taught to them in the state school system. You can’t win a war without knowing and identifying the enemy. SEE MORE: Ex-KGB Psychological Warfare Operator Explains How Social Engineering and Mind Control Were Introduced to the United States Public Education System and Entertainment/Media Industry to Subvert an Entire Society. Get informed. Find the forbidden information they kept from you. I highly recommend you read the book: “SHADOW MEN” by Dr. Anthony Napoleon and follow him on twitter. He teaches you exactly how mind control and PSYOPs are used on you every day and how to break out of their trance. Create Your Own Income. Learn to start your own business and make your own money. As long as you remain inside their “plantation,” you’ll always be an economic slave under their control. Some people can’t even tweet their real thoughts without the fear of being fired. That’s slavery. 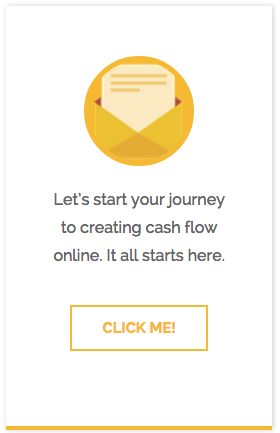 Create your own cash flow and arm yourself with capital to buy more freedom. Escape the Fraudulent “Mainstream Media.” The establishment media networks are completely owned and controlled by those who are brainwashing an entire society. The entertainment industry is one of the biggest tools used to embed mind control and PSYOPs into the population. Ignore them completely. Only 6% of the people trust the mainstream media. It’s dying. It’s 24 hours of daily mind control and propaganda in the news, culture, movies, shows and “reality” TV aimed at conditioning your belief system and world view. It’s pure hypnotism. They have people tranced out and following their talking points and political agenda like sheep. All it takes is to create content that helps you “fall in love” and follow some Hollywood “stars” or “rock star bands” and entertainers. Pure Deception. They fill their tv show and movie scripts with their talking points and political agenda based story lines. They get you addicted to certain brands, logos and commercialism. Materialism is everywhere, then they inject their political agenda into those multinational, globalist corporations who get infilitrated with leftist globalists where they turn their employees into political sheep. It’s in every part of the social system we live in. The schools, entertainment industry, multi-national globalist corporations, sports industry and now even religious institutions that have sold out to radical liberalism. You have to be aware of what world view is being sold to you and why. You have to learn to identify how they stage it and package it. And you must keep free of it. Be in the Matrix but not of it. Be in the corrupt, twisted, manipulative world but do not be of it. Like Neo and Morpheus used to go into the Matrix, walk around in it, identify patriots to recruit into their resistance and get their mission accomplished but they never allowed themselves to submit to the brainwashing. Break out of that and tune into locations where you can find the “forbidden information” they ignore and keep from you. Focus on alternative media sources, and in fact, become one yourself and share real, empowering information and media with the people around you and in your social networks. 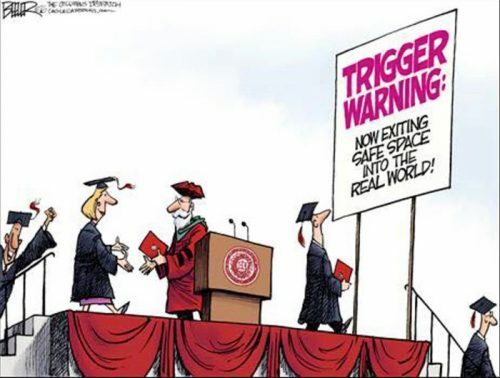 Education System: Weaponize it like Mao did in China to indoctrinate youth. Teach this to your children at home. Share videos. Read stories. Read books. Read articles. Teach your children to be aware of this agenda so they can not be indoctrinated by it. Stay active in local politics and get involved in the school system. Choose to live in smaller towns if you can. Private or home school if you can. Create your own home business for cash flow and take control of how your kids get an “education” as much as you can. It’s worth it. Destroy the Family Unit: Isolate people by destroying the traditional social fabric that kept people together through time. Easier to control when they feel the State is now their “family” and taking care of them. The left absolutely hates the nuclear family unit. They always have. So put that much more value in your family. Raise a strong, smart, active and together family unit and promote that to others. That alone crushes the authoritarian left. Destroy Religion: The destruction of the institutions that traditionally teach families morality and social values. Mock them. Ridicule them. Use “group think” and bullying to subvert and discredit the institutions that teach values. Have the “entertainment” industry, the education system and The State (government) take over the authority and the role of teaching “ethics” and “morality” and create an even more submissive population of sheep. This is classic marxism. Drug Culture: Legal and Illegal drug addiction. Saturate society with a growing addiction to mind altering and brain chemistry altering drugs. Have people drugged out, getting even sicker and completely “busy” with their addictions. Too busy to pay attention to how they are being enslaved. This also produces volatile, unpredictable, potentially very violent people. The “mental health” problem we are experiencing today didn’t “just happen” – it was manufactured. Healthcare Industry: The sickness culture. The food system. The massive amounts of fake food and sugar people take in are killing them slowly… exactly how they want it. A drug culture affects other diseases to get people into the “Healthcare” industry (sickness industry) where they’ll never come out. Drug to drug, illness to illness, treatment to treatment, once inside the sickness industry people are slowly killed. Too busy to pay attention. Mass Abortion: Create the death culture of normalizing the murder of their babies. Over 90,000 innocent babies are murdered every day in the United States. Most murders of babies happen inside minority communities. This is exactly what Margaret Sanger (creator of Planned Parenthood) proposed to do when presenting this evil “eugenics” program to Hitler and the Nazis. No matter how it’s rationalized and justified, abortion is the murder of innocent babies. And if a society can condone and accept the mass murder of it’s own babies, they can condone and accept anything even more evil. It’s a horrific psyop and mind conditioning tool as well as murder. Entertainment Industry: Put the population’s masses into an aimless trance state with politicized and agenda driven content in the “entertainment industry.” Promote violence, degeneracy, destruction of the family, fake social constructs, culturally normalized drug culture, the emasculation of men into weak beta sheep as the “heros” in movies. Use agenda driven lyrics in music to control world views and install new belief systems in youth. CASE STUDY: Gangsta Rap and the Explosion of the Prison Industry. Do you think it was “just coincidence” that at the same exact time that violent, “gangster rap” music blew up on the scene, that the crack cocaine and heroine markets and the enormous prison industrial complex also absolutely exploded? That was manufactured too. Don’t make it so easy for them. If they can do that there, they can just about anything in ANY other location. Think deeply about this. Think about what kind of content, movies, shows, music you are allowing them to embed into your mind. Social Media “Group Think”: Get the masses addicted to social networks. Get their face on their phone all day long inside a fake virtual reality they begin to think is real. Then when they’ve become addicted to it, heavily censore it and start banning those who resist the “group think” and social bullying tactics. Use artificial intelligence and algorithms to create masses of “bots” who appear to be human social media accounts to endlessly troll and push the system’s narrative. Make people feel depressed and overpowered and completely alone. Create the impression that the globalist, marxist, maoist world view and agenda are accepted by the masses to make people submit to it and not engage in fighting these concepts. Mass Poverty: Expand it. Destroy as much of the higher paying economy as possible with manipulated multi-national trade agreements that continue to ship good paying jobs to third world, corrupt countries. Make the masses as dependent on government assistance programs as possible. Make government the new mother and father of society. It’s much easier to control a society infected and completely consumed by daily survival and mass poverty. Destroy the Middle Class: Wage war on the working family and the middle class. Work from multiple angles to economically enslave a nation. The more enslaved a population becomes and the more they believe they are dependent on the government for the basics of survival, the easier it is to completely control and rule them. This is the game plan of complete authoritarianism. They’ve used this same playbook time and again throughout history but they don’t want to teach our youth this history anymore for obvious reasons. We need to fight back by promoting and expanding the EXACT OPPOSITE of the game plan above. It’s simple. Stay engaged. Share this information. Take legal, lawful, massive action against it. NEVER VOTE FOR LEFTISTS or fake “libertarians” or fake establishment “republicans” or “democrats” that endorse the agenda of globalism. Do not allow their “marketing” and “focus grouped” talking points that cater to your emotions to fool you. Vote for nationalists. Vote for liberty conscious constitutionalists. DO NOT BUY into the deception of APATHY. If they can’t get your vote, they’ll brainwash you to think you’re powerless and that voting is futile. Don’t buy that. It’s obvious. Why do you think they work so damned hard to rig voting and get as many of their useful idiots out to vote again and again? They spend millions of dollars on “get out the vote” drives but then tell you to not care and that voting is futile so you can turn apathetic and stay home. TOO EASY! Don’t fall for their deception. Use your vote like a revolutionary weapon because it is. Liberty AND good governance of our fellow man go hand in hand and are not mutually exclusive. Stop buying into their propaganda that just because you vote for less government and liberty that you don’t want to build roads or have good police and first responders and effective education and health care systems. That’s a lie. We just point out the fact that this massive and corrupt government has a lot of parasites living off of it and we are sick and tired of feeding them. We are against them (corrupt political parasites and lifetime bureaucrats), not the people. Socialism and leftism don’t own “good governance.” We as free people can promote liberty AND ALSO get together and govern our cities, states and nation smartly. Do not be fooled by their deception and spin. We just choose to do it without becoming total authoritarians and enslaving the whole population. Use your vote like a weapon. Vote for liberty, anti-globalism agenda and constitutionalism. Keep this a vibrant constitutional republic. Focus on our own nationalistic priorities and don’t submit to the agenda of other international globalists. Keep your nation strong and free and promote that other people in the world keep their own nations strong, free and independent and together we can fight leftist globalist authoritarianism and promote and interdependent world of strong and liberty focused nation states. We can have vibrant globalization without the authoritarianism of globalism. Don’t allow them to play word games with you. Use your voice like a weapon. Never shut up. Do not ever stop sharing an opposing world view and the stories, videos and articles that articulate the truth and expose their lies and deceptions. 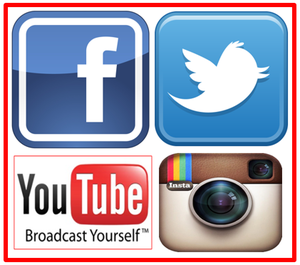 Use their social networks to spread information and opposing view points. Don’t submit and do not let apathy own you. Build a Successful Decent Life: Win. Beat them by winning in life. Be a good neighbor. Be a good teacher of life. Share wisdom. Stay active. Be a good person. Be strong. Raise your family. Work hard. Succeed in life. And tell the story of how you did it. The world loves liberty and freedom. It’s an easy sell. Sell liberty. Sell freedom. Sell morality. Sell traditional values and real brotherhood. Be a patiot. The totalitarian left hates patriotism, hates nationalism, hates the family unit and hates good, decent, hard working independent people. So become that and win. Promote that and make them fear “we the people” again. Expose the Darkness of Authoritarian Liberalism: Call out fake liberalism for the hateful cult that it is. Call out collectivism for the oxyoronic lie that it has always been throughout history. Call out their intolerance. Call out their vile disrespect for others with opposing views. Expose the hypocrisy of their “group think” agenda. Call them out each time they are out on the streets of their own cities destroying the towns in the name of “peace and love” and “social justice.” Domestic terrorism is the opposite and that’s what they do and who they are when they don’t get their way. They are NOTHING close to “liberal” and just total control freak authoritarians. If not, we will be enslaved like the thirld world has been enslaved. Leftist, authoritarianism is extremist. They want ALL the control, not just a little. They’ll never stop. Just look around at how unhinged and hysterical they became since the 2016 election of Trump. It’s obvious. This is not a “moderate” agenda. They are control freaks. And they mean to completely control you. Will you bow down and be their slave? 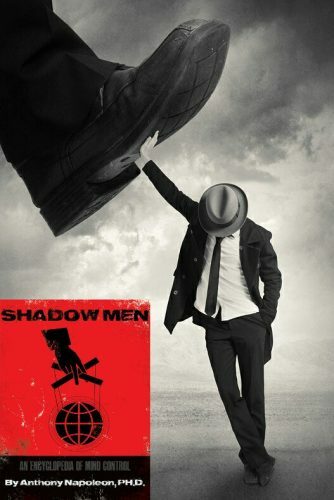 Click here to review and order SHADOW MEN on Amazon. SIMPLE FREEDOM: Information and Knowledge is not enough. In order to defeat cultural marxism and social engineering designed to enslave a population, you have to have a command of the way you create income and own your time. The masses have neither. They’re economically enslaved. They have no control of their income production and have no time freedom. Without financial independence and the free time to help educate the masses, you will fail. To command and leverage political power, the people need to first build financial power. Financial independence gives you the opportunity to buy your time back. With money and time, you can focus on expanding the freedom and liberty movement and destroy cultural marxism and radical liberalism. Stop begging politicians to create “jobs” for you. They won’t. 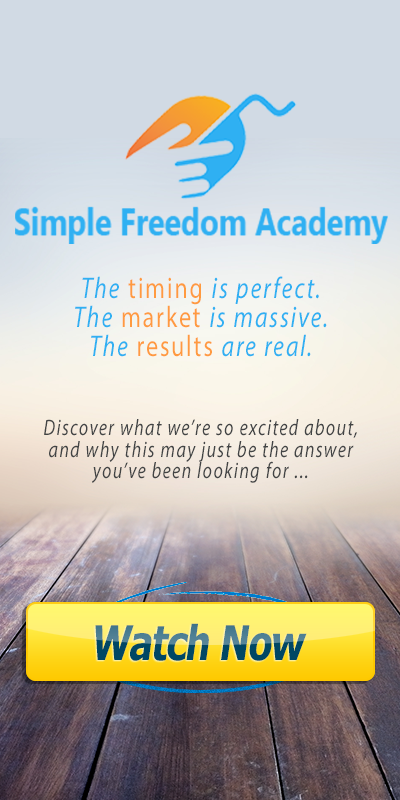 Create your own financial power by leveraging the power of like minded people, free enterprise and online social networks.